Respect your elders (more like suspect!). 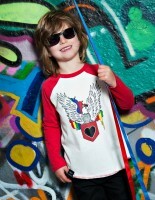 Cute Graffiti is an exciting new British kids' brand. 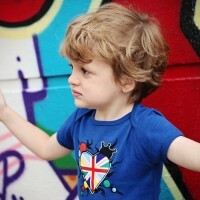 This cool tee is a perfect gift for anyone who wants a change from the normal bland children's prints. 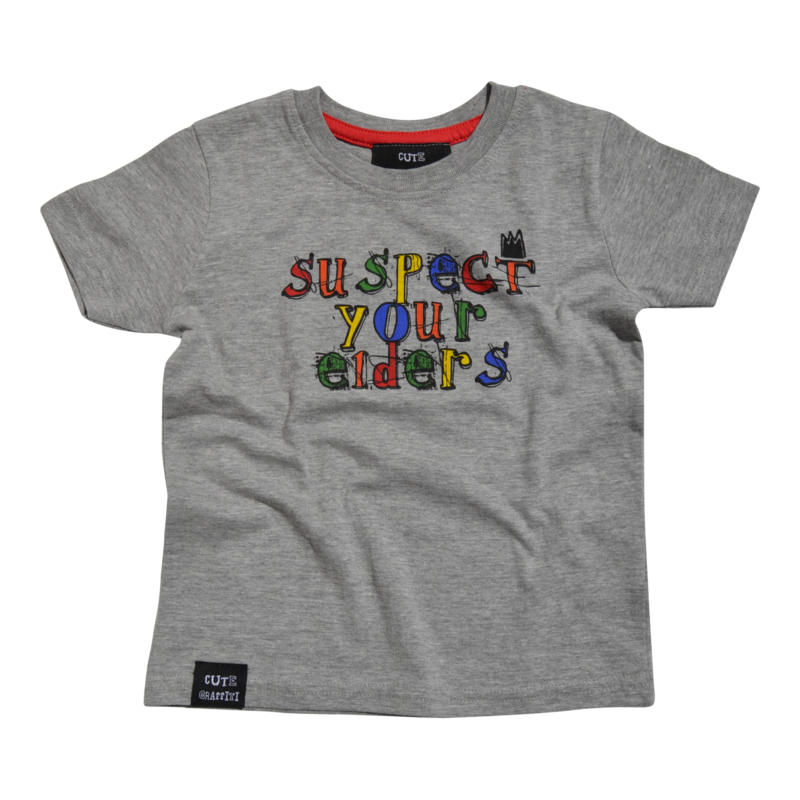 The suspect your elders design is hand drawn, then screen printed here in the UK onto beautifully soft ethically produced 100% cotton. This t shirt is perfect for any little street smart mischief maker! Machine wash at 30. Do not iron on design. UK Shipping is a standard flat rate of £2.00 International delivery is available, at a flat rate of £8.00. Orders are dispatched by royal mail 1st class as standard, estimated delivery time is 2-3 working days. Not happy with what you have bought? No worries. We will refund ALL returned items within 50 days of receipt. We will refund at the original price less the delivery charge. We will credit your original method of payment when you post your item back to us. As soon as we receive your goods we will refund your card. Easy peasy!